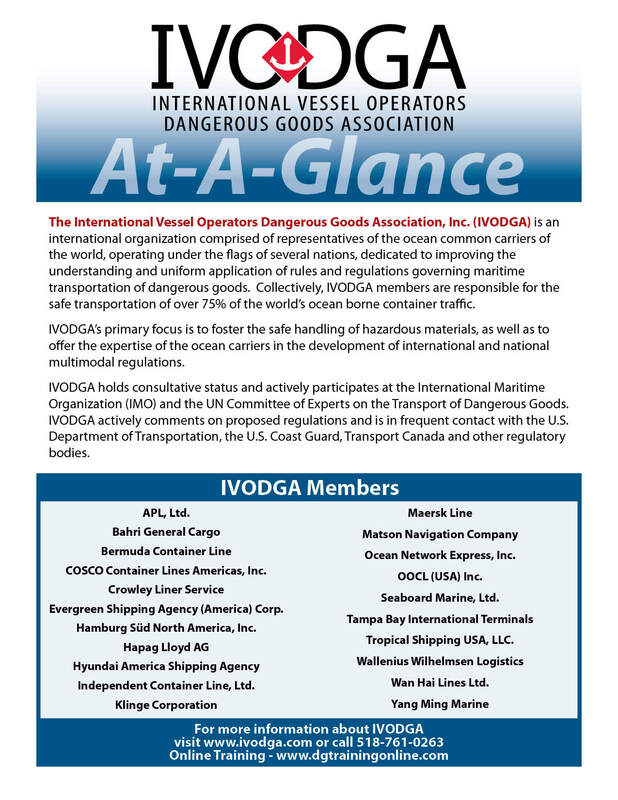 IVODGA's primary focus is to foster the safe handling of hazardous materials, as well as to offer the expertise of the ocean carriers in forging regulatory development. IVODGA monitors proposed regulatory changes, provides comments to regulatory agencies and summaries of proposed and final regulatory changes for the US DOT, Transport Canada, and others. 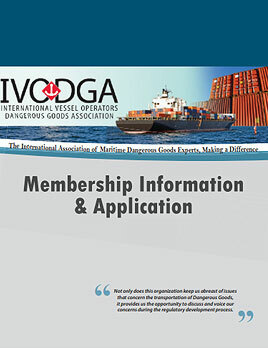 Access to internationally recognized dangerous goods consultant, IVODGA Administrator, John Currie, Tom Ferguson, PG, CHMM, DGSA, L'Gena Shaffer, CDGP, Julie Prescott, Rodolfo Koria, Don Bossow and other industry experts.